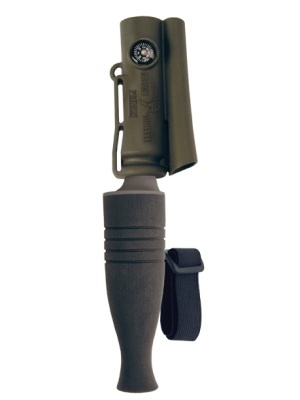 I started Primos Game Calls (now Primos Hunting) in 1976, so our company is about 40 years old. About 1984 or 1985, a fellow by the name of Bill Sugg called and said, “I’m an insurance salesman, and I have a problem. 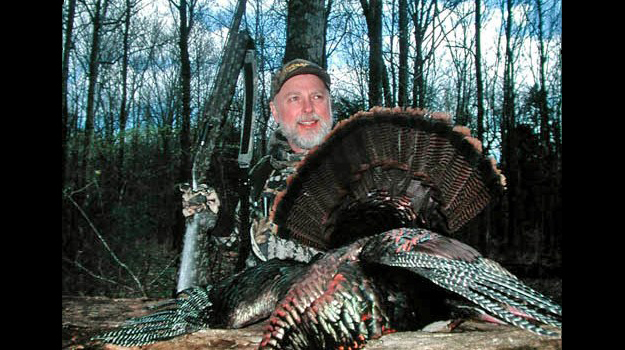 I can’t use a mouth call to call turkeys.” So, I told Bill to come down to my restaurant, Pops on Lakeland Drive in Jackson, Miss., and after lunch, I’d sit down with him and show him how to properly use a mouth call. I owned six restaurants then. Bill came to the restaurant and we talked, laughed and had a lot of fun. 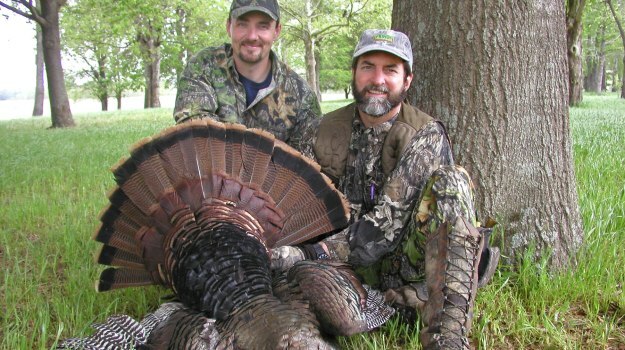 By 6 p.m., Bill was calling turkeys on a mouth call like a pro. He left and wrote me a nice thank you letter. 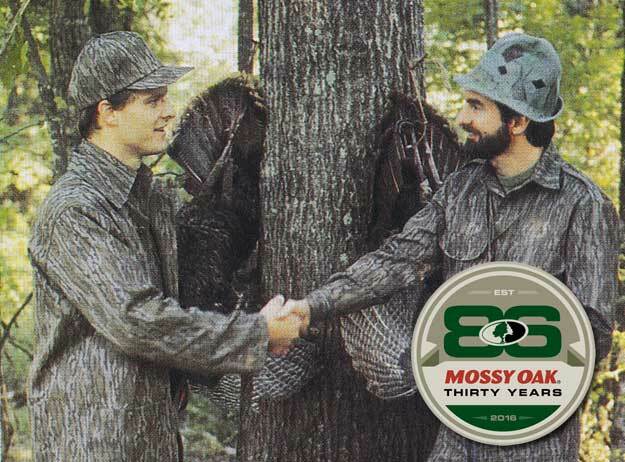 About 6 months later, Toxey ran an ad for Mossy Oak camo that had a picture of Toxey and me shaking hands. 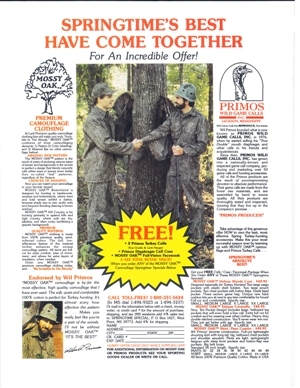 The ad explained that if anyone who bought a pair of Mossy Oak pants and shirt also would receive a free Primos turkey call. I still have that ad. Every now and then I look at that ad, and it’s hilarious. Toxey and I both weighed about 120 pounds when that picture was taken. We started hunting together and always had a good time enjoying each other. A friend of mine, the late Bob Dixon, who was working for a sporting goods store in Birmingham, Alabama, called me and said, “This job isn’t working out too well. I’d like to come over to your place and talk to you about working for Primos.” I knew Bob was a good salesman, because he was selling a lot of my turkey calls at the store. Bob came over, we talked, and I told him, “There’s a fellow in West Point, Miss., named Toxey Haas, who has a camo company called Mossy Oak. I believe he's got a tiger by the tail. You may be better off talking to him about a job.” Bob said, “Okay, I’ll leave here and go see him right now.” Toxey hired Bob, and Bob became Mossy Oak’s National Sales Manager. In 1987, Primos Game Calls started producing hunting videos, and Toxey and Bob sponsored our videos. Back then, Ronnie “Cuz” Strickland was working for me shooting and producing our videos. Once Mossy Oak decided to get into videos, the company asked Cuz to go to work with them with the understanding he still would work with us at Primos. 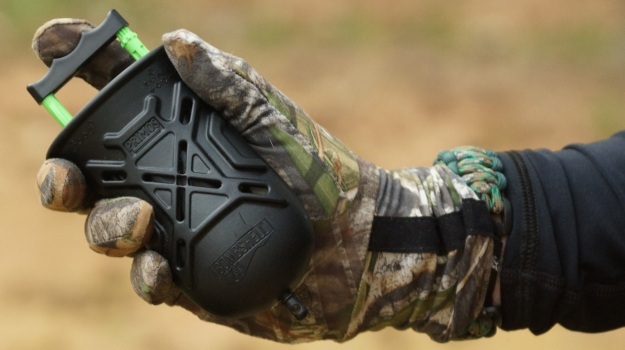 Primos Game Calls and Mossy Oak camouflage began to grow both of our businesses together. Today, my favorite camo pattern is still Mossy Oak Bottomland. So, I guess I was with Mossy Oak from the very beginning, 30 years ago.